Remember Agent Orange, the chemical from the Vietnam War that caused so many health problems and birth defects? If Dow AgroSciences has its way, one of the main ingredients of Agent Orange will be sprayed in massive amounts all over the country. Tell the U.S. Department of Agriculture not to approve “Agent Orange” corn and soy! Click here to take action. Dow has genetically engineered corn and soybeans so that the plants can withstand the application of 2,4-D, half of the notorious Agent Orange chemical cocktail. Studies show that 2,4-D messes with your hormones, damages your nervous system, lowers your immunity to illnesses, and causes reproductive problems. Unfortunately, this chemical is already being used in industrial agriculture. But its use is limited because it kills so many plants — farmers have to be careful about how and when they spray it. If Dow’s GMO crops are approved, however, farmers will be able to spray 2,4-D throughout the growing season to kill weeds without damaging the GMO crops. This means a lot more 2,4-D in the environment and as residue on your food! “Agent Orange” corn and soy are making their way through the approval process, and this is the last chance the public has to submit comments to the USDA. We need to submit more comments than ever before to stop these crops from unleashing a new toxic assault on our health, our communities, and the environment. Take a moment to tell the USDA not to approve these new GMO corn and soy crops! Scroll down or click here for a sample letter. The deadline for comments has been extended to March 11, 2014. 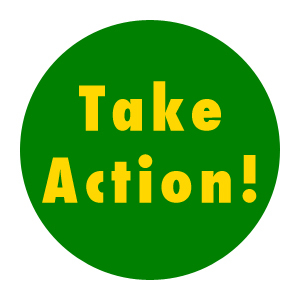 TAKE ACTION #2: Spread the Word! Help spread the word! If you have a booth at a farmers’ market or are going to a conference this month, you can download our statement of opposition (http://farmandranchfreedom.org/statement-opposing-2-4-d-resistant-crops) and petition sign up sheets (http://farmandranchfreedom.org/wp-content/uploads/2014/01/24D-Petition-SignUp-Sheets.pdf) to hand out to people. I am writing to urge the USDA to deny Dow AgroSciences’ petition for non-regulated status for its 2,4-D-tolerant corn and soybean varieties. Throughout its analysis, the USDA has failed to give proper attention to the many risks of 2,4-D tolerant crops and the elevated levels of 2,4-D and other herbicide use that will be triggered with an approval. The USDA, while recognizing the 2,4-D has numerous health and environmental impacts, has failed to address the inevitable increase in its use that will occur if these crops are approved for commercial planting. The approval of 2,4-D corn is likely to trigger up to a 25-fold increase in the amount of 2,4-D being sprayed in fields across the country. This increase in 2,4-D use will endanger agricultural workers and the general public with health risks such as non-Hodgkin’s lymphoma. Additional 2,4-D in the environment would lead to elevated surface water pollution, which will not only affect water quality but also plants and animals, including endangered species. The increased use of 2,4-D also poses a threat to specialty crop and organic farmers, including grape growers and tomato producers. Increased drift from 2,4-D applications could destroy their crops. For agriculture in general, the cumulative effects of 2,4-D-resistant corn and soybeans stacked with other herbicide tolerances is unknown, but it could lead to weeds that are more difficult to manage because of resistance to multiple herbicides. I urge the USDA to deny Dow’s petition and maintain regulation on the 2,4-D tolerant crops in order to protect both farmers and consumers.